A moving account of a woman compelled to help. This heroic story of a young woman who smuggled Jewish children out of World War II Warsaw was not known until after 1989 when Poland became a democratic republic. Irena worked as a Catholic social worker when the Nazis invaded Poland. 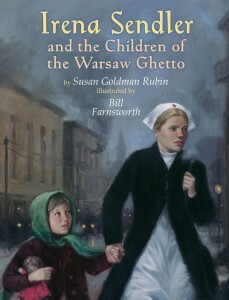 When Jews were targeted, she worried about her Jewish friends especially when they were forced to go to a ghetto with horrible living conditions and build a wall. Irena disguised herself as a nurse to gain access to the neighborhood. She organized help on the outside and, with a secret network, began to help children escape. It was dangerous and Irena had to constantly change her escape routes to avoid being caught. She couldn’t guarantee a child’s safety or even that the child would survive, but Irena promised to do her best. Even if a child escaped, people would turn in the child to authorities for money. Irena dreamed of someday reuniting parents and children, but keeping records was risky. She managed to devise a system that survived her capture without being discovered. She was taken to prison, tortured and scheduled to be executed, but her friends helped her as she had helped so many others. When the war was finally over, Irena turned her records over to the Jewish Committee, an organization that located orphans and reunited families. 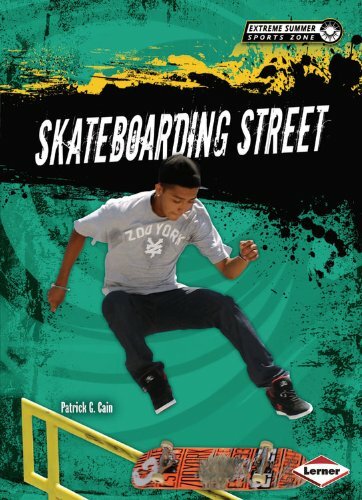 A thrilling class read aloud for older grades, this book could be used with either a heroes or a biography unit. One suggested literacy activity is for students to write a timeline of the dramatic events of Irena’s life and compare it to the events in Poland during World War II. An impressive bibliography and notes section is included along with an index. 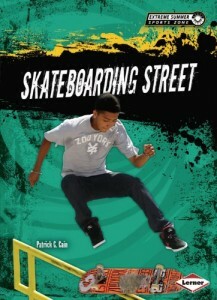 An educator’s guide is available on the publisher’s website: http://www.holidayhouse.com/title_display.php?ISBN=9780823422517. Pack your robe and sandals! We’re going to ancient Greece. We begin with detailed impressions of a festival during The Golden Age, which kids can locate on the timeline. The reader gets a wonderful overview of what a festival would look like through a kid’s eyes and great sensory descriptions of all the activities, right down to what the food was like. From parades to sporting events to theater, the Athenians knew how to celebrate. The next chapter reveals the geography of the region and the formation of 1,500 different city-states. Athens was one of the largest and most productive of the city-states. 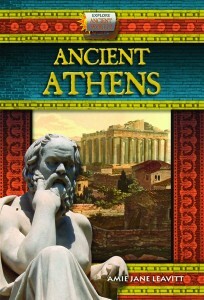 Chapter three gives more details of what everyday life in ancient Athens, including the structures of homes and clothing. The Golden Age is again highlighted in chapter four, with emphasis on trade, architecture, and art. The final chapter points out the structures that survive to modern day. Each chapter in turn provides more information as sidebars on topics such as Athena, the great philosophers, sculpture, and the Greek alphabet. 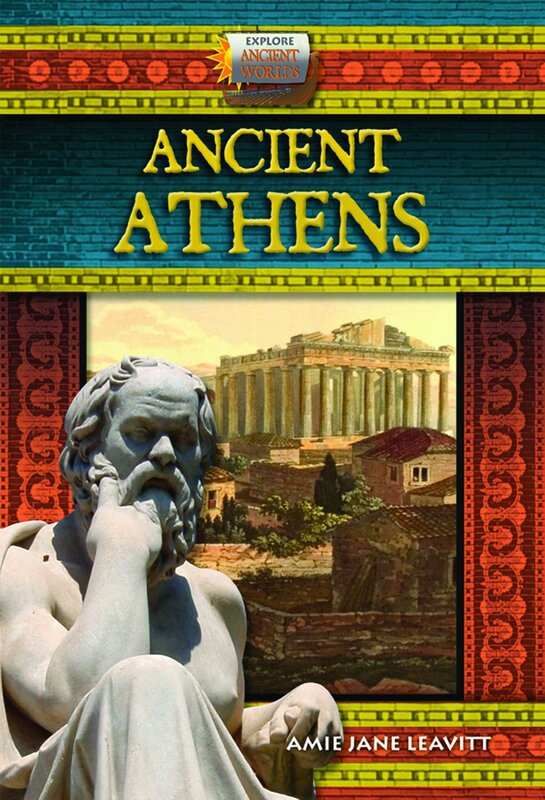 Finally, the author provides information on making masks and several recipes so that children can experience ancient Athens first hand, with a little help. This is a very good reference for fifth grade. The glossary is complete and specific enough to help comprehension. The references provide multiple opportunities for further study. Also, included are a table of contents, timeline, chapter notes, and index. The many photos, drawings, and maps allow the reader to form a thorough impression of Greek life. Reading activities could include organizing a Greek festival or further study of the various topics presented.